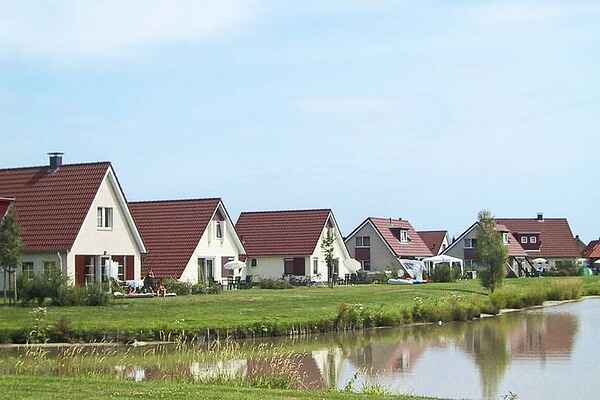 The 300 comfortable detached holiday villas are located on an expansive recreation lake. You have the choice of a single floor a 4 person variant (NL-7828-01) a more luxurious 4-pers. variant (NL-7828-02) or a 6-pers. (NL-7828-03) accommodation. In the 6 person accommodations there is an open hearth and a separate toilet. Next to it there is a studio for 8 persons. (NL-7828-05). All villas have a spacious living room with charming seating area with patio doors to the terrace. You have a garden with terrace and garden furniture. In NL-7828-02 and NL-7828-03 the beds area made up and there is on set of tows per person and kitchen set.